Will there be a Tolo Toy under your child's Christmas tree? Toys open up the world for babies as they learn to play. In this collection, an array of simple instruments, boats, trucks and animals in bright primary colors are sure to create fun and excitement for your little one, especially during the holidays when playtime is encouraged. About the Brand: Rigorously tested for safety, Tolo Toys are designed to encourage learning and stimulate your child’s interest. 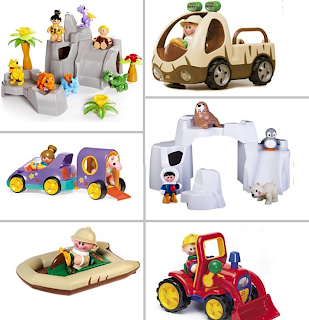 The educational benefits of each toy develop a little one’s budding sense of curiosity. NOTE: If this is your first time, after you sign in, click on the "Children" tab, then "Playtime Favorites: Tolo Toys"